I’ll be the first to admit that turkey burgers didn’t used to be my favorite meal. I’d had one too many overcooked, underwhelming turkey burgers, and had nearly given up hope of finding a delicious version. But, a couple months ago, I decided to go on a search for the perfect turkey burger, as I sometimes want something lighter and leaner than a traditional beef burger. 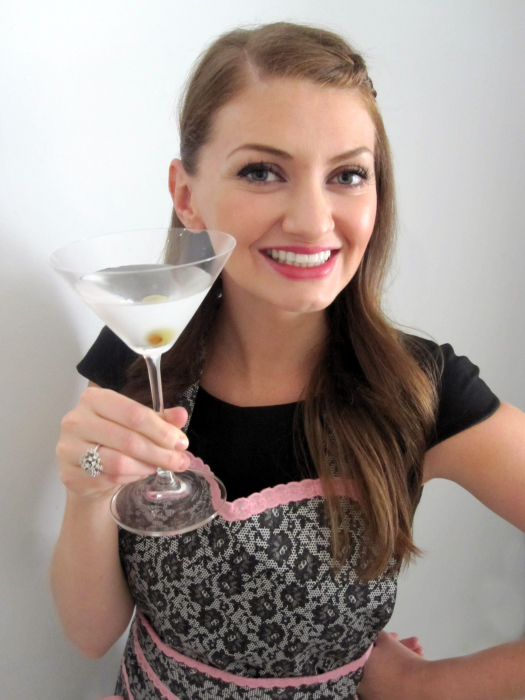 And after trying many different recipes, I’m happy to report that this one is truly amazing! The combination of the cheese, mustard, scallions and garlic worked into the burger is wonderful, making for a moist, tender, cheesy, and slightly tangy patty. I make these burgers year ’round, cooking them indoors in a skillet during the colder months, and outside on the grill in the warmer weather. (I’ve included instructions for both cooking methods below). While these are flavorful enough to entice an adult palate, they’re mild enough to appeal to kiddos, too. My 1-year-old daughter adores this meal – I crumble her burger into toddler-sized, easy-to-grab pieces, and she gobbles ‘em down. One meal that the whole family can enjoy? Always a win! Heat grill to high. In a medium bowl, use a fork to gently combine ground turkey with cheese, scallions, breadcrumbs, mustard, and garlic; season generously with salt and pepper. Gently form mixture into four 1-inch-thick patties. If cooking on the grill: Lightly oil grill. Place patties on hottest part of grill; sear until browned, 1 to 2 minutes per side. Move patties to cooler part of grill; continue grilling until cooked through, 5 to 10 minutes per side. If cooking in a pan/skillet: Heat 1 tablespoon oil in a pan/skillet over medium-high heat until the oil begins to shimmer. Cook the burgers until golden brown on the first side, about 7 minutes. Flip over the burgers. Cook until golden brown and slightly charred on the second side, and cooked throughout, about 5-7 minutes more. The flavor profile sounds fantastic. The picture of Fearless Baby going in for a NOM doesn’t hurt, either. It takes a lot to wow me with a turkey burger, but this one really is SO good! Digging that this burger has cheese in it! Win win! Love that shot of Fearless Baby. That burger is as big as she is! There’s nothing better than a meal that appeals to the whole family. And how great that you finally found success with this recipe! mmm, sounds good. my husband makes the best turkey burgers- he uses garlic powder & worcestershire sauce in his… but i may have to try these next! Ooh, are those on your blog, Sarah? If so, I’d love to try them! 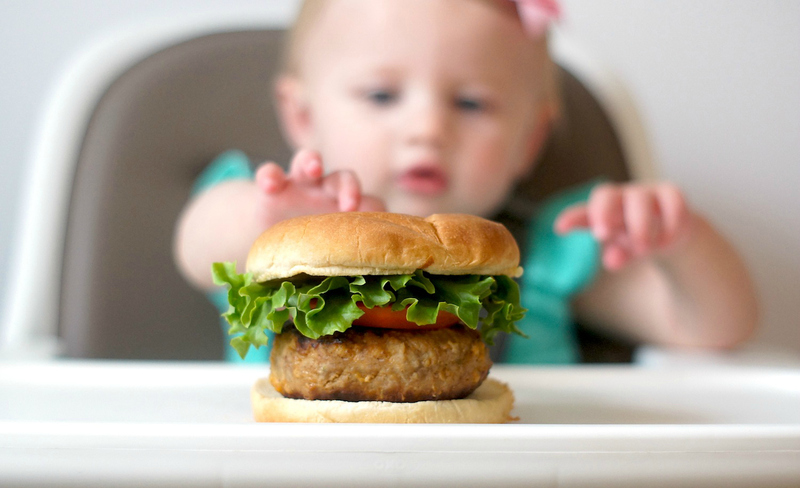 And since Baby loves turkey burgers these days, I’d love make them for her, too! Love the picture of her reaching for the whole burger These do sound like perfect turkey burgers! I have a caesar version we love too. Ooh, I’ll have to look up the Caesar version! 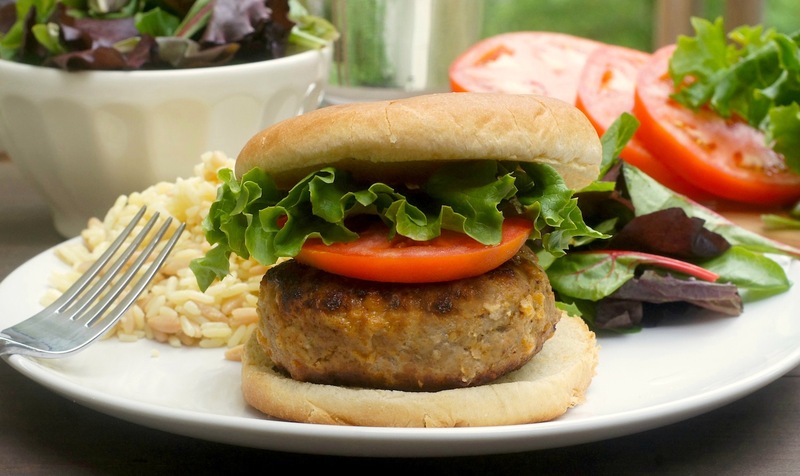 I love a good turkey burger – it feels indulgent without too heavy and such perfect summer food. Can’t wait to try these Amy! These burgers look so delicious and juicy! That pic of your little baby – too cute!! These look delicious! Perfect for the BBQ season! What a neat combo! We make turkey burgers a bunch here (usually with spinach and feta) and I am always interested in trying new options! With all those great flavors in there I believe that this has to be the best kind of turkey burger! such a cute shot of your baby and burger sadly, they don’t sell turkey in switzerland! I guess I never realized how american it was until I moved! we do have ground chicken though, so maybe I can try it with that for a healthy burger alternative. These sound so delicious, Amy! I love the addition of the dijon mustard. Definitely a recipe I’m cooking up next week!